Do not write like we taught you to! It is easy to think that the big deal these days has to do with multimedia (YouTube) or social networks (Facebook), but the written word is changing too! As someone who writes for a living, I am fascinated by how writing has changed drastically in recent years. Of course, the Web has changed the way we write in an obvious way: it has become less of a formal activity and more of a social one. However, even formal writing, such as the production of research papers, has changed a lot. We are in the middle of a revolution. Documents are not standalone objects. Documents are commonly hyperlinked, and when they are not, it is increasingly easy to browse through the documents that reference it or through the documents referenced by it. PageRank is just one example of how links between documents are becoming as important as the documents themselves. I no longer read scientific papers on their own: I always read them as part of a stream of papers in a given area. The fact that I can download in about 5 minutes a dozen of papers on the same topic, makes a big difference. I very frequently look up the Web pages of the researchers I read, just to see what they worked on beside the paper I read. Most blog posts do not stand on their own: they are part of a worldwide exchange. Also, papers are no longer static objects: several times a year, I will write to an author I read and get feedback from him. Transparency matters. As it becomes easier than ever to make information available, it becomes less acceptable to keep relevant matters secret or to lie. Bloggers are famous for sharing openly: lying on your blog is dangerous because so many people can check your facts. Increasingly, researchers are asked to make source code and data available. You can no longer write for a small community: people outside your little group are likely to stumble on your work as well. Countries and organizations do not write, people do. A journal that accepted one of our papers objected yesterday that, in the reference section, we omitted the location of the publishers and where conference were held. But I do not care about where the results first appeared! They also asked us which organization was behind each of the proceedings paper we cited: I do not care! Several years ago, I was asked if, as a researcher, I had international collaborations. The question does not even make sense to me. Metadata is more about selling than about describing. Many people still write abstracts as if they had to summarize their work. But I can grab your paper in about 2 minutes and read its introduction in 5 minutes. 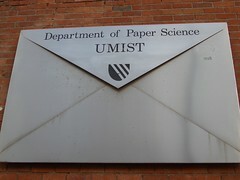 We no longer mail order science papers. So the abstract should tell me why I need to read your paper. The same hold true for blog posts: your title is not there to describe the blog post, but to tell us why we should care. I doubt you can be fully productive if you have a hard time getting access to the PDFs. I do research exclusively at home and UQAM‘s proxy is fast enough. Interestingly, you often can get access to the papers without paying, see my post Get into pay sites for free as a Googlebot. I agree with the metadata notion to some degree, but that may only be true when open access is more ubiquitous. With the abstract, I like to see some degree of clarification of just what the paper is proposing. This usually entails summarizing the approach or the results. On the other hand, that may be what sells it. In short, they are intersecting concerns. The abstract is a weird hybrid of metadata and hard information. I would agree that you have to sell with the abstract, but you shouldn’t hype too much. Next Next post: Physical factors making you smarter: white noise, carbohydrates, music, alcohol, and coffee?